The Climate in Antarctica makes the continent the way it is. Over 15 million years it has transformed rocky lands with forests and grasslands into a continent of ice. In years to come, the Climate in Antarctica will again radically transform it. For many millions of years, when Antarctica formed part of a supercontinent called Gondwana, the land around the South Pole was warm enough to support many plant and animal communities. Fossilised leaves of southern beech trees have been found within 300 km of the Pole. Stunning ice formations in Antarctica. Photo credit: Shutterstock. • Gondwana began to break up about 180 million years ago. • Antarctica began to take on its modern form when South America and Australia broke away, between 80 million and 40 million years ago. • The final separation allowed ocean waters driven by relentless westerly winds to flow right around the southern part of the world. • The Antarctic Circumpolar Current, as we now know it, cooled the seas around Antarctica. • At the same time, various natural processes were causing carbon dioxide levels in the atmosphere to drop, very slowly. • During the Paleocene-Eocene Thermal Maximum (PETM) around 56 million years ago, Earth suddenly heated to 6 deg. C warmer than today, probably a result of rapid release of carbon dioxide by very large numbers of volcanoes. • Then, atmospheric carbon dioxide was thousands of parts per million, but over millions of years it dropped to a few hundred parts per million. Why is there snow in Antarctica? Snowcapped mountains in Antarctica. Photo credit: Shutterstock. 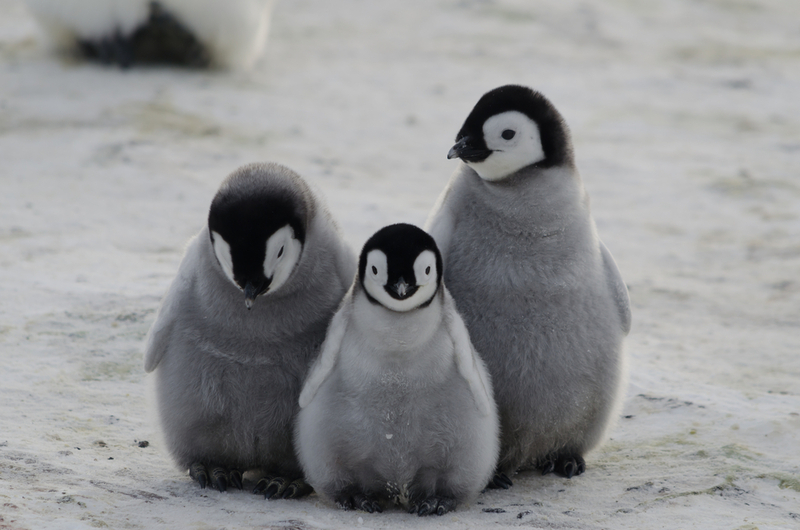 These two developments caused Antarctica to become so cold that snow stayed on the ground year-round, building over many thousands of years into an ice sheet thousands of metres thick which drove nearly all land-based species into extinction. That process first started around 34 million years ago. Ten million years later Antarctica lost its ice cover as Earth warmed again, probably because large numbers of active volcanoes raised the carbon dioxide level. Then another decline in carbon dioxide caused the ice sheet to form again about 15 million years ago. It’s stayed there ever since. Throughout the Quaternary, the present geological period which began about 2.6 million years ago, Earth has been cooler than it’s been for at least 280 million years and possibly much longer. Climate in Antarctica changed and it ensured the Antarctic ice sheet to remained in place even during the warmest (interglacial) times of these “ice ages”, such as today. In the depths of each ice age, ice sheets have blanketed large swathes of Europe and Asia, North and South America and Australia. Over all that time – including the whole time that humans and their near-ancestors have walked on the planet – Earth’s average temperature didn’t rise above where it is today, kept in check by carbon dioxide levels between 180 and 300 parts per million. And the great Antarctic ice sheet – 14 million km2 in area and averaging 2 km thick – remained in place. • Natural emissions during that PETM warming spike 56 million years ago averaged about 1.7 billion tonnes of carbon a year. • In 2014, fossil fuels burnt by humans emitted nearly 10 billion tonnes – a rate of release about six times faster than in the PETM.? • This has caused Earth’s surface to warm much more rapidly than in any previous time for which we have evidence – about ten times the rate of warming during the PETM. Global warming is already having an impact everywhere, in changing weather patterns and generally warmer conditions. In Antarctica, global warming is more difficult to gauge because so much happens out of sight, hundreds of metres below sea level, where warming ocean waters are melting the edges of the Antarctic ice shelf. This has been observed around the coast of West Antarctica south of the Pacific Ocean, but ocean melting may also be affecting the bigger ice sheet of East Antarctica. What happens if Antarctica melts? • They will have to deal with an ocean that’s not just warming, but also becoming more acidic – a direct result of more carbon dioxide in the air. • Many species which have evolved over millions of years to deal with colder, less acidic ocean waters will be unable to adapt and will die out. A warming climate change in Antarctica will change global weather patterns, especially in the Southern Hemisphere, but its biggest impact for humans worldwide will be felt through the seas lapping our shores. If we exclude the oceans, Antarctica’s ice sheet is by far the biggest chunk of water on the planet – 10 times the size of the next biggest ice sheet, in Greenland, and holding 70 per cent of all fresh surface water and 90 per cent of all ice. 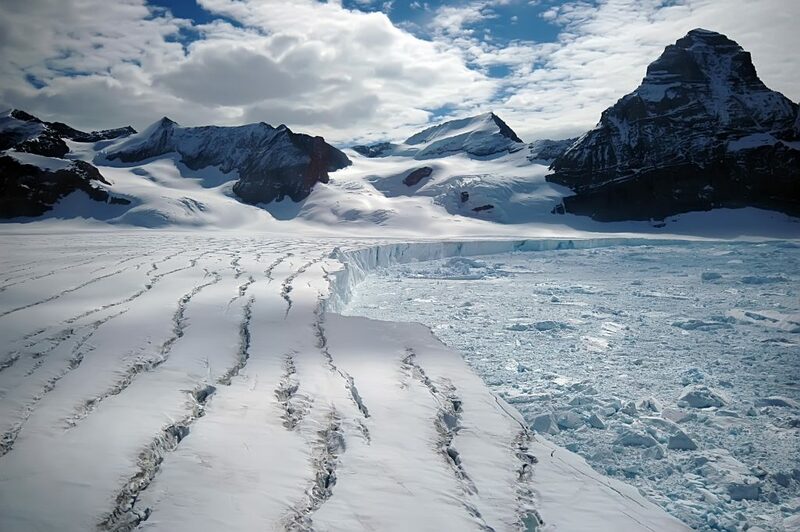 And because so much of the Antarctic ice sheet is above sea level – over 4000 metres high in some places – any ice loss has an impact on sea levels around the world. Right now that’s not much. But if the Climate in Antarctica keeps getting warmer, most of the cause of today’s rising sea levels results from expanding ocean volumes (warmer water takes up more space) and melting mountain glaciers. But over the next decade or so, the bigger ice sheets of Greenland and Antarctica are expected to have a much greater influence on sea level rise. As that melting accelerates, its impact will be huge. 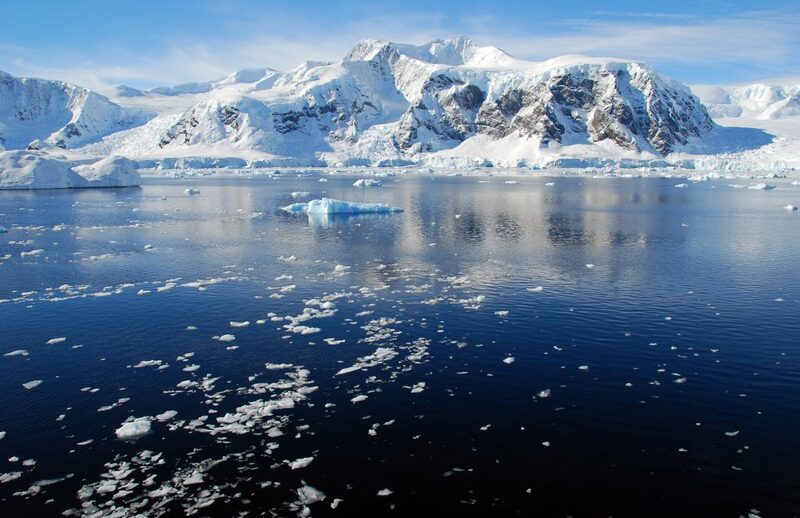 West Antarctica alone contains enough water to raise the sea level six metres. Currently, oceans waters are rising at a little over three millimetres a year, but by the end of this century, the sea will be rising at several times that rate. Conservative estimates put the rise between now and 2100 at half to one metre; other estimates say more than a metre. In following centuries sea level will continue to rise because of the amount of carbon we have already emitted. If we fail to make decisive cuts soon – within 2-3 decades – by 2500 the sea will be several metres higher. As the sea rises, so will Antarctica change. How big and how lasting that change will be is up to us. *NOTE: The US Geological Survey estimates that all the volcanoes on Earth today emit less than one per cent of the carbon dioxide emitted from burning fossil fuels. 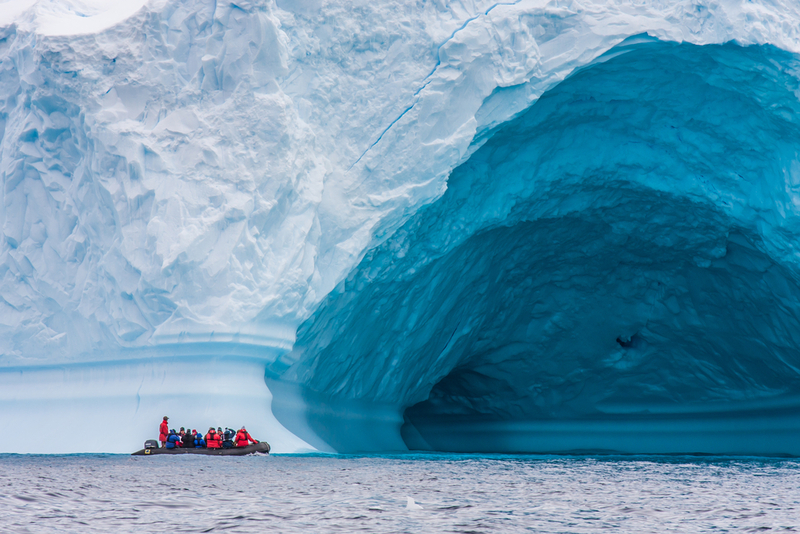 Would you like to visit Antarctica? Contact Chimu Adventures for more information click here.